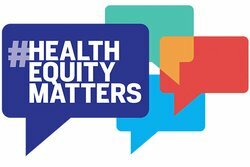 The Academy hosts a wide range of events throughout the year, has a world-class medical history Library that is open to public by appointment and holds monthly drop-in tours, and offers 20,000 square feet of event and conference space through its conference center. The Academy is located at the corner of Fifth Avenue and 103rd Street. The entrance is on 103rd Street.? Take the 6 train to 103rd Street. Walk west on 103rd Street; after crossing Park Avenue, turn right and walk a few yards, and then turn left onto the path through the garden of Carver Houses to Madison Avenue. Continue west on 103rd Street almost to Fifth Avenue. ?The entrance to the Academy is on 103rd Street. Or take the 2/3 train to Central Park North/110th Street. ?Walk one block east to Fifth Avenue, then south to 103rd?Street. Check the MTA website for updates on planned service changes. Take Shuttle Train to 42nd?Street / Grand Central and transfer to the #6 Train (Uptown) to 103rd Street. On Madison Avenue, take a northbound M1, M2, M3, or M4 bus to 103rd Street. Walk west on 103rd Street almost to Fifth Avenue. The entrance to the Academy is on 103rd Street. From north of 103rd Street:? On Fifth Avenue, take a southbound M1, M2, M3, or M4 bus to 103rd Street. The entrance to the Academy is on 103rd Street, on the southeast corner of the intersection of 103rd Street and Fifth Avenue. Exit Grand Central Station and Terminal on 42nd Street at Vanderbilt Avenue. ?Walk one short block west to Madison Avenue and take the M1, M2, M3 or M4 (Northbound) bus 103rd Street. Walk west on 103rd Street almost to Fifth Avenue. The entrance to the Academy is on 103rd Street. Exit the station and take the M101 bus on Lexington Avenue southbound to East 102nd Street. ?Walk three blocks east to Fifth Avenue and ?proceed north to 103rd Street. Exit the terminal at the West 42nd Street exit. ?Proceed to Eighth Avenue and take the M42 Bus east to Madison Avenue. ?Transfer to the M1, M2, M3 or M4 (Northbound) bus 103rd Street. Walk west on 103rd Street almost to Fifth Avenue. The entrance to the Academy is on 103rd Street. Exit the terminal at the West 33rd Street exit. ?Proceed to Eighth Avenue and take the M42 Bus east to Madison Avenue. ?Transfer to the M1, M2, M3 or M4 (Northbound) bus 103rd Street. Walk west on 103rd Street almost to Fifth Avenue. The entrance to the Academy is on 103rd Street. From the FDR Drive North, take the 96th Street exit. Turn left onto 96th Street, and drive straight until Madison Avenue. Turn right on Madison, and drive north to 103rd Street. Turn left, and the Academy is at the end of the block on the south side of the street. From the FDR Drive South, take the 96th Street exit. Turn right onto E. 96th Street, and drive straight until Madison Avenue. Turn right on Madison, and drive north to 103rd Street. Turn left, and the Academy is at the end of the block on the south side of the street. The Academy is located 7.5 miles from LaGuardia Aiport. From the Main Terminal, take the Parkway West ramp towards Manhattan. Merge onto the Grand Central Parkway west (the Grand Central Parkway becomes I-278 East). Take the exit towards Manhattan/Randalls-Wards Island/Downing Stadium. Merge onto the Triboro Bridge. Merge onto the FDR Drive South. Take exit number 15, towards East 106th Street. Turn right onto East 106th Street, and proceed to Fifth Avenue. Turn left onto Fifth Avenue and continue until 103rd Street. The Academy is located 17.5 miles from JFK Airport. From all terminals, follow signs to the Van Wyck Expressway (I-678 North). Merge onto the Grand Central Parkway West via exit number 10 (on the left), following signs to the Triboro Bridge. Take the exit towards Manhattan/Randalls-Wards Island/Downing Stadium. Merge onto the Triboro Bridge. Merge onto the FDR Drive South. Take exit number 15, towards East 106th Street. Turn right onto East 106th Street and proceed to Fifth Avenue. Turn left onto Fifth Avenue and continue until 103rd Street. The Academy is located 21.7 miles from Newark Airport. From the Main Terminal follow directions to US-1&9 North. Merge onto the New Jersey Turnpike North (I-95N) towards exits 16E-18E (US 46-Lincoln Tunnel). Take Route 3 exit number 16E in the direction of the Lincoln Tunnel. Merge onto I-495 East. Proceed through the Lincoln Tunnel. Take the exit on the left toward 10th Avenue/Points North/West Side Hwy. Stay straight to go onto Dyer Avenue. Turn left onto West 42nd Street. Turn right onto the West Side Hwy (NY 9AN/12th Avenue). Continue to follow NY9A North. Take West 96th Street Exit. Turn slight right onto West 96th Street. West 96th Street becomes 97th Street. 97th Street then becomes East 96th Street. Proceed on 96th Street to Madison Avenue; turn left onto Madison Avenue and proceed to East 103rd Street. Turn left onto East 103rd Street. 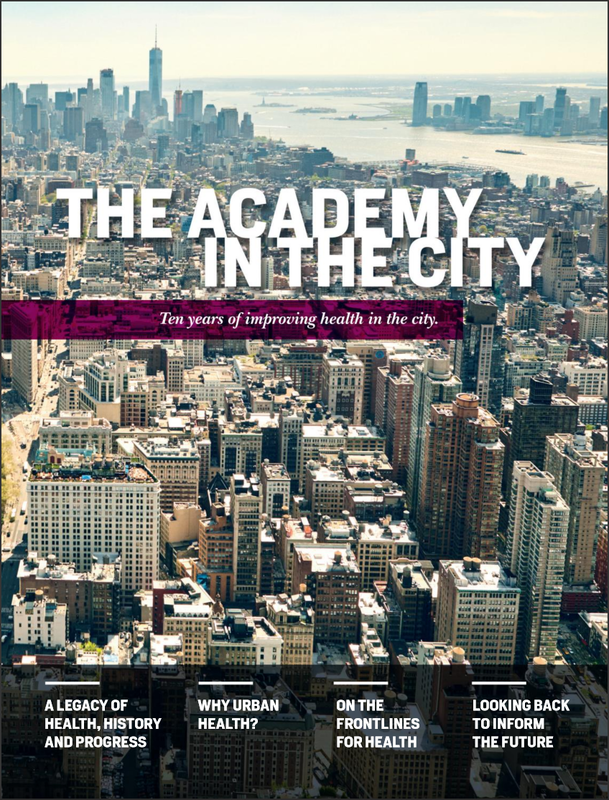 Read the Academy's special 2017 magazine commemorating the last 10 years of improving health in New York City.